Have you been to Fantasy Kingdom? I personally dont like amusement parks / activities. 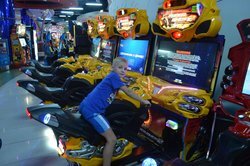 The place is good for kids between three to ten years old. Get quick answers from Fantasy Kingdom staff and past visitors.